Want to start a business you feel called to? 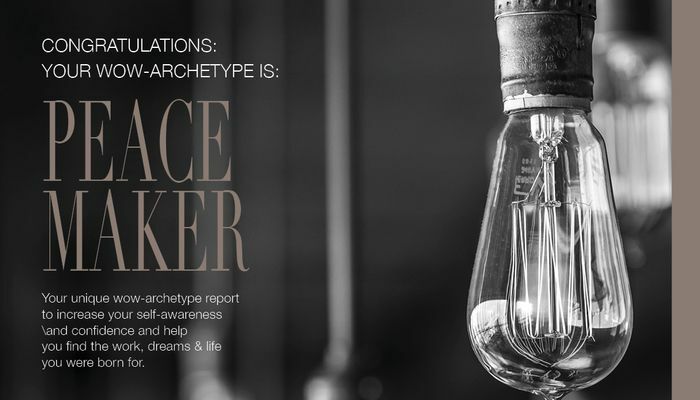 Take my FREE quiz and discover how your unique WowArchetype gives you clarity around the business and life you were born for. Which of the following best describes me? I want to find more focus (as I have so many ideas & passions). I want to do something that feels peaceful, easy and more 'me'. I want to do something more heartfelt and purposeful with my life. I want to achieve bigger goals and build my own empire! Which set of words would my friends choose for me? Which do I crave the most? Which of the following most hinders me moving forward? Which motivates me the most? You are the Passion-Maker Archetype! You are the Vision-Maker Archetype!